How traumatic events can break our vital connections--and how to restore love, wholeness, and resiliency in your life. From our earliest years, we develop an attachment style that follows us through life, replaying in our daily emotional landscape, our relationships, and how we feel about ourselves. And in the wake of a traumatic event--such as a car accident, severe illness, loss of a loved one, or experience of abuse--that attachment style can deeply influence what happens next. 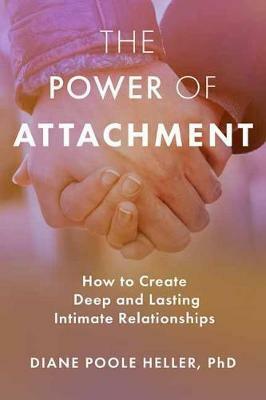 In The Power of Attachment, Dr. Diane Poole Heller, a pioneer in attachment theory and trauma resolution, shows how overwhelming experiences can disrupt our most important connections-- with the parts of ourselves within, with the physical world around us, and with others. "We are fundamentally designed to heal," teaches Dr. Heller. "Even if our childhood is less than ideal, our secure attachment system is biologically programmed in us, and our job is to simply find out what's interfering with it--and learn what we can do to make those secure tendencies more dominant." With expertise drawn from Dr. Heller's research, clinical work, and training programs, this book invites you to begin that journey back to wholeness.